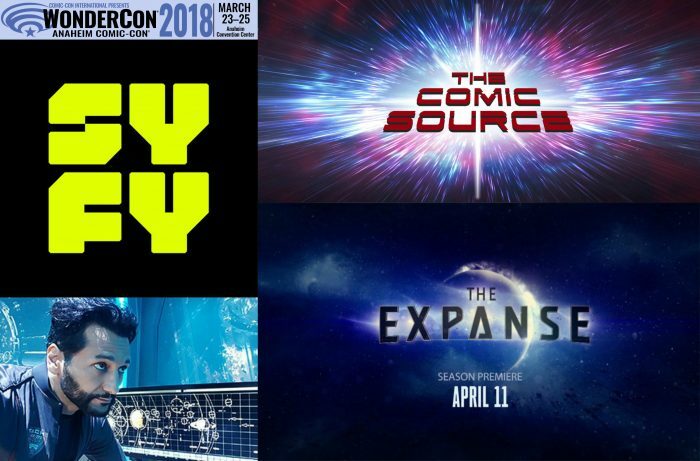 The Expanse Season 3 premieres is scheduled for April 11th on SYFY, I wonder if you can sum up the tone and feel of Season Three in just a sentence or two? The trailer for Season Three really shows how the actions and choices of the Roc crew have put them at odds with each other, will the cracks between the crew members start to show in this Season? After all this is really just a group of people thrown together by circumstance way back in Season One. What’s been your favorite part about playing the character Alex and being involved with The Expanse? What are the traits that you and Alex share, how are you most similar? What’s the biggest difference between you and Alex? Your body of work is long and varied, but you’ve worked on some beloved properties like Star Wars, Star Trek and Assassin’s Creed, what makes The Expanse stand out in your mind from that work? What makes it special? The Expanse is such a big hit and has a large fan base, I wonder if you can give us a favorite Expanse fan moment or two? What are you most looking forward to next in regards to The Expanse?